Many thanks to the lovely Yvetta Dourin, who has thrown her hat in the ring this Dystopian November and broken down why she likes both the book AND film version of dystopian modern classic, The Hunger Games. Remember, you can see our book versus film breakdowns of Divergent HERE and The Maze Runner HERE. Over to you, Yvetta … Enjoy! I am one of those people who believe that books are always superior to their silver screen counterparts. However, after having read the The Hunger Games book twice and watched the film three times, I add the film to a short list of exceptions to the rule. The Hunger Games NYT bestselling novel sold 17,500,000 copies domestically. 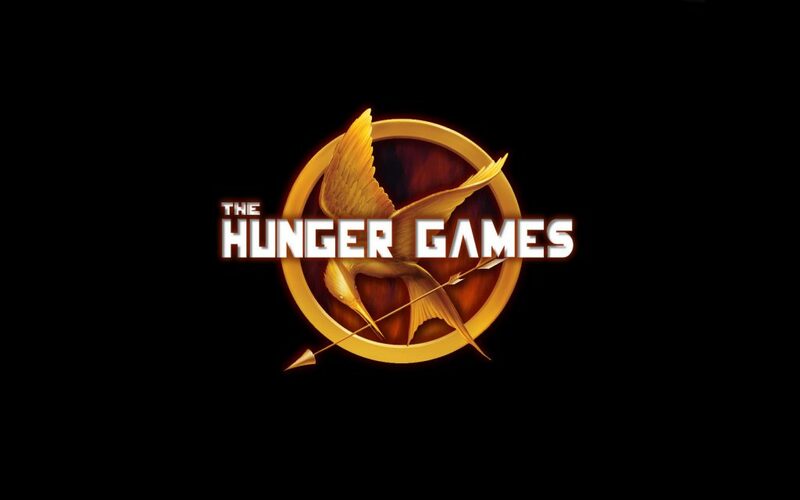 “The Hunger Games” 2012 film earned $691,247,768 box-office worldwide against the $78 million budget. Why was it such a tremendous success? Both the book and the movie root in a fantastic high concept premise, which is very familiar but different enough from what we’ve seen before. 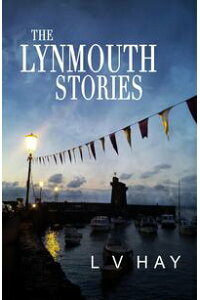 It follows a complex, relatable heroine stepping up to protect the weak and fighting for her life. Plus it takes place in a mash-up of ancient history within a distant future, giving us the feeling that this story isn’t specific to a particular time, culture or gender. In short, The Hunger Games, as a story, has universal appeal. Katniss Everdeen lives in the not-so-distant post-apocalyptic future. Instead of the United States of America, there is a country of Panem, divided into 12 districts governed by The Capitol. 75 years ago, the districts rebelled against The Capitol and lost. As a punishment, the Capitol created “The Hunger Games.” Once a year, each district must send one boy and one girl between the ages of 12 and 18 to compete in a fight-to-death game for the entertainment and intimidation of the country. Katniss volunteers for the games when her 12-year old sister is chosen as the “tribute” for District 12. The story weaves the ancient Greek myth and Roman Empire elements into a recognisable future world, where competition for show and money takes on life and death stakes. The world of The Hunger Games is one of terror, paranoia and distrust. Like Romans watched gladiators fights for sport, Panem watches as children slaughter children on live television. Katniss Everdeen. The Hunger Games novel is written through the POV of its 16-year-old protagonist – Katniss Everdeen. The character is based on Artemis, the Greek goddess of hunt, wilderness, childbirth and protector of young girls. Katniss is from the most disadvantaged class in the poorest District 12. She is forced to provide and protect her family when her father dies and her mother succumbs to depression. Katniss hunts in the woods and becomes proficient with her bow and arrows. She will not give in to hard life circumstances or the Capitol manipulations, even if it might benefit her. She is a rule-breaker who would never be subservient. Katniss is hardened by life circumstances and appears aloof and distant, however deep down she remains a loyal and compassionate person. Her inner strength translates into standing up to those who need her protection – her sister Prim; the smallest tribute of the Hunger Games, Rue; or Peeta. Katniss is so preoccupied with survival that she doesn’t have any inner resources left for romance. She is oblivious to the romantic feelings of her friend Gale and does not believe in Peeta’s selfless love. Her arc is a story of a girl that trusts no one, yet learns it by the end. Peeta Mellark. In the book, Peeta has been in love with Katniss since he heard her sing. He is selfless, ready to sacrifice himself for the others. Yet he knows his worth and refuses to lose his dignity for the entertainment of the Capitol. Peeta is a talented artist who sees the true essence of things. He is the one who states the most prominent theme of The Hunger Games. During the pre-games training, Peeta tells Katniss that he can face death if he still has his humanity and dignity intact. In other years of the games, people went insane or became incredibly violent and homicidal, eating competitor’s hearts and doing unspeakable things to survive. As far as the characterisation goes, Peeta is a typical Knight in the Shining Armour, wielding a symbolic loaf of bread for a sword. He wants to save his Princess at all costs, only his Princess doesn’t trust him. And when she eventually does, she is the one who saves HIM. She is the Knight of the story, after all. The Opponents and President Coriolanus Snow. The professional tributes of the Districts 1 and 2 Marvel, Glimmer, Cato and Clove are Katniss’ opponents in the Arena, but they are not the true nemeses of the story. Katniss’ true enemy is the Capitol personified by its cruel and manipulative President Coriolanus Snow. 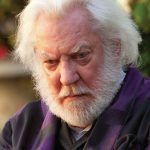 President Snow presides over the annual Hunger Games and oversees the military forces responsible for oppressing the districts. He disapproves of Katniss ever since he sees her sees her shoot an arrow at the gamemakers. He senses her strength and rebellion. He is furious when Katniss pulls the berries stunt and gets away with it. Katniss and Peeta are both crowned victors and the President orders the Gamemaker Seneca Crane’s death for allowing this to happen. At the victors’ coronation, Snow gives Katniss a long, dark look while he places her half of the crown on her head. He watches Peeta and Katniss’ return to District 12 in a monitor room before silently leaving, pondering what to do with them later. Haymitch Abernathy. 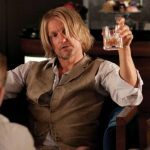 When Katniss and Peeta are “reaped” for the 74th Hunger Games, they get a mentor for The Games – the only winner District 12 ever had – a broken man, Haymitch Abernathy. His life has been destroyed by the Capitol – his family and girlfriend were killed after his victory. In the novel, he is so drunk during The 74th Reaping that he falls face first off the stage. Too bad this scene didn’t find its way into the film. At the beginning, Haymitch sees Katniss and Peeta as another couple of helpless children heading for slaughter. He has already seen 46 of their likes die before. Being obnoxious with them and staying drunk is his way to detach from the forthcoming tragedy. However, when Katniss demonstrates her spirit, he gets himself together to attempt to save them. Sarcastic Haymitch becomes a father figure to both Katniss and Peeta. He forces Katniss to get in touch with her feminine side to grasp her chance for survival. His arc is fascinating – from an obnoxious drunk devoid of hope to a wise man implementing a brilliant stratagem. Cinna. Cinna is Katniss’ stylist for the Games, the Capitol native that kept his humanity intact. Cinna is another artist with a great insight into human nature. He feels Katniss’ wholesome true self and helps her discover it. First, he tells Katniss that her volunteering to work for District 12 because of her selfless act. His designs of symbolic outfits for Katniss play a large part in her success. Katniss instantly likes him – he is not as flamboyant as the “normal” Capitol crowd, but humble, sincere and poised. He treats Katniss as an adult, advises he to stay true to herself – this is the only trick she need to learn to be liked. Primrose and Rue. Katniss’ sister Prim and Rue (who from the District 11 District) are the most heartbreaking victims of the Capitol. Named after delicate flowers, both girls represent childlike innocence. Katniss instantly feels connection to Rue – she is just like he beloved little sister Prim – the 12-year old little girl was drawn at the Reaping just as her sister Prim was, only there was nobody to step up for her. It is only natural for Katniss to partner with Rue to protect her – she sees Prim in her. When Marvel attacks Rue, Katniss shoots him dead on the spot. When Rue dies, Katniss blames herself for not being able to save the innocent life. Katniss forgets about her safety in order to grieve and pay the last respects to Rue’s body. Her symbolic goodbye gesture sparks the rebellion in the District 11. It is at this moment Katniss becomes the symbol of the forthcoming revolution. 1) The muttations are the Tributes! I put this point up first because I found them truly horrifying. In the book, Katniss feels that their eyes are awfully familiar. Then she realises that they are the dead tributes. Each muttation has the eyes of its tribute combined with a distinct fur that matches their hair. Katniss even recognises Rue! In the film, Seneca Crane makes a brief mention of this when he tells the planners to send in the genetically-altered mutts, but if you don’t know what they really were from the books, you’d miss it. 2) Peeta’s Leg Amputation. Whatever can go wrong must go wrong! That’s how the emotional spectrum of the story is amplified. In the film, Peeta gets away with his leg wound. In the book, the injury is so serious that the leg had to be amputated and replaced with an artificial one. The leg bleeds badly as the doctors start working on Peeta, plus Katniss becomes hysterical as a glass wall separates them. She wakes up and panics because she doesn’t know if Peeta is alive or dead. So much drama! 3) There’s a District 13. Originally, there were 13 districts in the Panem. The 13th district where the rebellion started was annihilated by the Capitol to teach a lesson to the Panem. However, the people still whisper about it, believing that it still exists. The Capitol started The Hunger Games as a reminder of their imminent power over the districts but the film does not explain existence of the 13th district through the short video. 4) The Avox people. For seriously defying the Capitol, people are punished by death. But for not-so-serious crimes, they would only have their tongues cut out and become mute servants. Katniss meets an Avox in the woods. Although Avoxes are not too important for the plot line, their presence explains why people stay where they are rather than escape and settle elsewhere. 5) Katniss was not in love with Peeta. Katniss pretends that she is in love with Peeta only for the audience. There wasn’t enough mention of how all of this was real for Peeta. We don’t see his pain when he realises that Katniss was playing up almost all her feelings for the cameras. This leads us to less dramatic ending or Point 6. 6. The Ending. In the film, we see Katniss and Peeta back on stage with Caesar Flickman. They both are in a relatively good physical shape. Next thing, they’re on the train heading home to District 12, nervously awaiting what’s next for their post-Arena lives. In the book, Katniss is reunited with her team and learns about Peeta’s leg amputation, about the Capitol being furious with her for the berries stunt. Now she can survive only if she confirms that she was “so madly in love she wasn’t responsible for her actions.” Things get very tense on the train home when Peeta finds out that Haymitch prompted Katniss to play up being “hopelessly in love” but didn’t tell him to do the same. The book closes with heartbroken Peeta. The two barely speak except to continue the show for the sake of their lives. If the Capitol finds out their relationship is a farce, they’ll be killed. Peeta now knows Katniss’ heart was never really his. So much more drama in the book! 1) The casting. Jennifer Lawrence as Katniss Everdeen should probably be a Pro Film Point on her own. Katniss is a quiet character, so there is not a lot of dialogue, but Jennifer Lawrence’s steely performance nails it. Katniss’ shakes before getting in the tube, her silently defiant, tense moment with President Snow during the crowning, the brief moments of rage after Rue’s death – the film Katniss is somehow more complex and dramatic than her book prototype. There is an exceptional – and surprising – performance from Lenny Kravitz as Katniss’ stylist and friend, Cinna. Josh Hutcherson is simultaneously sweet and heartbreaking as Peeta. Alexander Ludwig as ferocious Cato and delicate Amandla Stenberg as Rue were utterly convincing. Woody Harrelson was snarky and sweet as drunken mentor Haymitch. Stanley Tucci as a flamboyant richly colored host of the Hunger Games Caesar Flickerman, plus Elizabeth Banks as the District 12 tribute chooser, the ridiculous Effie Trinket. The Brilliant Donald Sutherland is a perfect creepy rose-loving President Snow and Wes Bentley shined as whimsically bearded Head Gamekeeper Seneca Crane, who messes up the 74th Games for the Capitol propaganda. 2) The silent moments. The doom and terror are palpable when the District 12 people looking like the American Great Depression characters line up for The Reaping. There’s no talking, no music. Just tension and horror. The quiet moment between Cinna and Katniss before she gets into the tube is heartbreaking. While those moments are there in the book, the film magnifies them and makes us wallow in them. 3) Multiple points-of-view in the film. While the book unfolds entirely through the perspective of Katniss, the film allows us to explore other characters operating further away from her. We see how Haymitch lures sponsors in favor of Katniss during the games. We see what Gale and her family are doing while Katniss is busy fighting for her life. Having multiple POVs allows for a more complete story. I personally don’t miss her reflections – Jennifer Lawrence’s acting compensates for this. The film has Seneca Krane, the Chief Gamemaker and his crucial point of view. We can spend time with him in the control room — seeing the Arena in the making, see him opposite President Snow. Seneca and the President share scenes that do not exist in the book. 4) The violence. While it is strange to be praising the handling of violence or the amount of it in a film, this series is based on public viewing of violence. Considering the PG-13 rating, the bloodshed is still effective and, at times, difficult to watch. The scene when the tributes are first starting the Games and running toward the cornucopia has brilliant and frightening scenes where the Career tributes from District 1 and 2 are tearing through children from other Districts to get supplies and weapons. Another scene that is absolutely effective occurs after Katniss blows up the supplies of the Careers while they are out hunting for her. 5) The music. The film music is performed by top-line artists ranging from Taylor Swift to Kid Cudi. 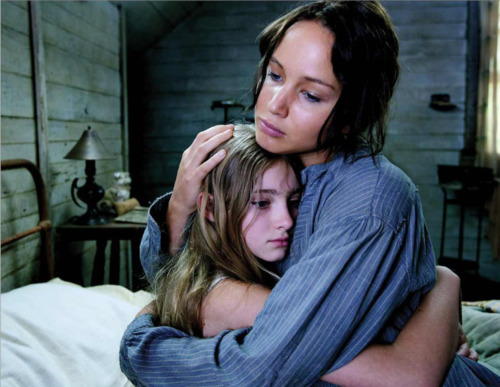 It leans to the folk and focuses on Katniss vulnerability, a child struggling to overcome her unfair circumstances. The ominous humming in the opening scenes, the triumphant sounds of the Capitol, the sorrowful Rue’s song are hands on. The pieces set the pacing of the story, the tone of District 12 perfectly, deliver an eerie sense of dread behind the quiet chimes that show Katniss’ intensity and a possibility of rebellion. The book isn’t better than the film and the film isn’t better than the book. They both have their respective advantages. Novels let us enjoy the things that would be boring on the silver screen, while cinematography and great acting make up for the cuts that were obviously made for the time and pacing of the film. If you haven’t yet done so, read and relish the book. See and enjoy the film. You don’t know what you are missing! BIO: Yvetta Douarin studied languages, arts and environmental law; worked in the UNICEF and in the international oil industry. She lives in the South West of France where she runs an animation school for children. She is a mother, a wife and a Game of Thrones junkie, not necessarily in that order.